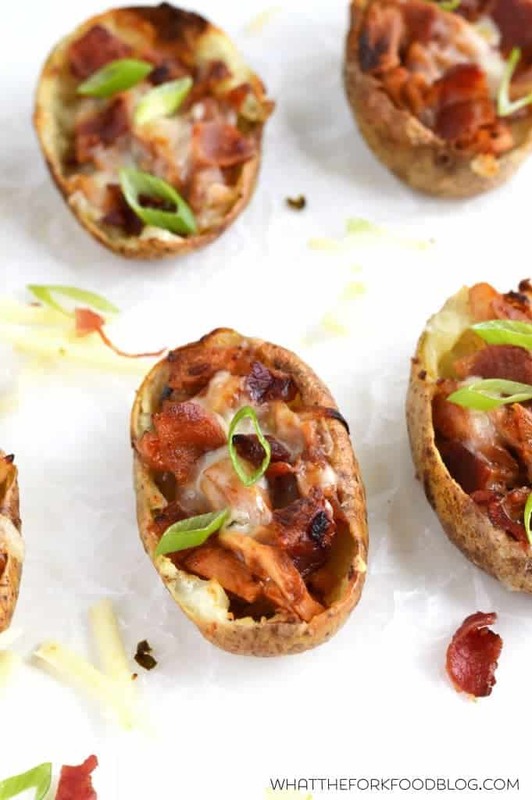 BBQ Chicken Potato Skins: crispy baked potato skins filled with bbq chicken and topped with cheddar cheese, bacon and scallions. These are the ultimate summer appetizer. Have you guys been eating all the bbq chicken this summer? We have. Which means, we’ve also had a decent amount of bbq chicken leftovers. I’m not a huge fan of having leftovers exactly how I ate them the night before so I like to get a little creative and turn them into something a little different. With bbq chicken leftovers, I like to make bbq chicken quesadillas, bbq chicken nachos, bbq chicken pizza and now, these bbq chicken potato skins. If you don’t actually have any leftover bbq chicken on hand, you could use other cooked/shredded chicken (like rotisserie) and mix it with some bbq sauce. I used Stubb’s Sticky Sweet BBQ Sauce in this recipe and it was perfect. The sweetness paired so well with the slightly spicy pepper jack, smoky salty bacon and scallions. 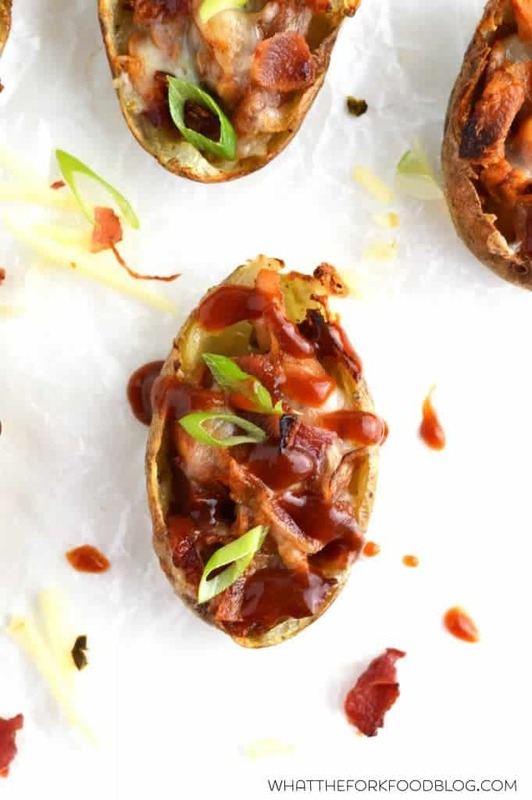 These bbq chicken potato skins are flavor bombs – so good! You can also serve these potato skins with some sour cream, if you’re into that sort of thing. I’m not a fan of sour cream as a condiment, so I skip that route. Just extra bbq sauce for me, please! Enjoy! Preheat oven to 400 degrees. Scrub the potatoes clean and dry with a paper towel. Pierce the potatoes with a fork several times and lightly brush with olive oil. Bake for about an hour or until the potatoes are cooked through and the outside is slightly softened. Slice the potatoes in half and cool until easy to handle. Preheat oven to 425 degrees. And spray a baking sheet with non-stick spray. Use a spoon to scoop the cooled potato flesh out of the skins and refrigerate for another use. Brush the inside of the potato skins with a bit of olive oil and season with salt and pepper. Bake the skins for about 5-10 minutes to crisp them up. While the skins are crisping, mix together the bbq sauce and chicken. Scoop the chicken evenly into the 8 potato skins. Top with the cheese and bacon. 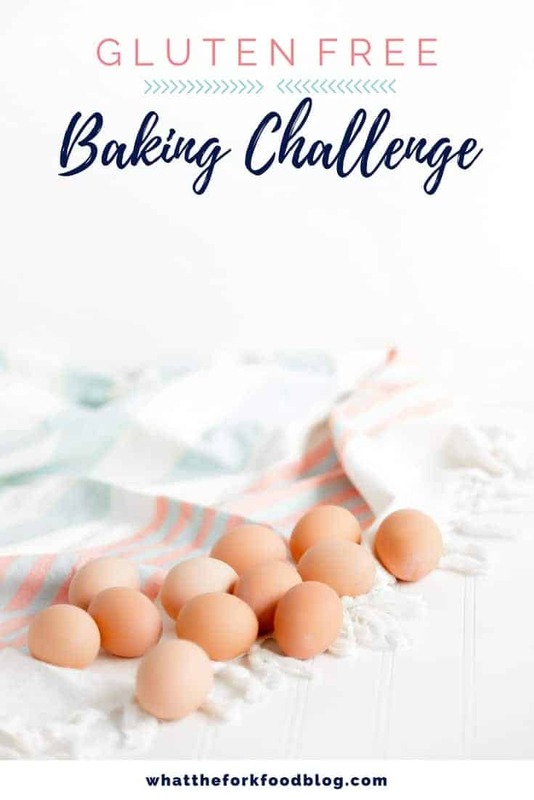 Bake for an additional 2-3 minutes or until the cheese is melted. 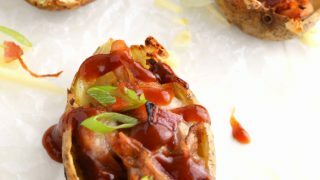 Top the potato skins with the scallion and drizzle with additional bbq sauce. Serve immediately. Use the leftover potato flesh to make mashed potatoes, potato pancakes, gnocchi, etc. 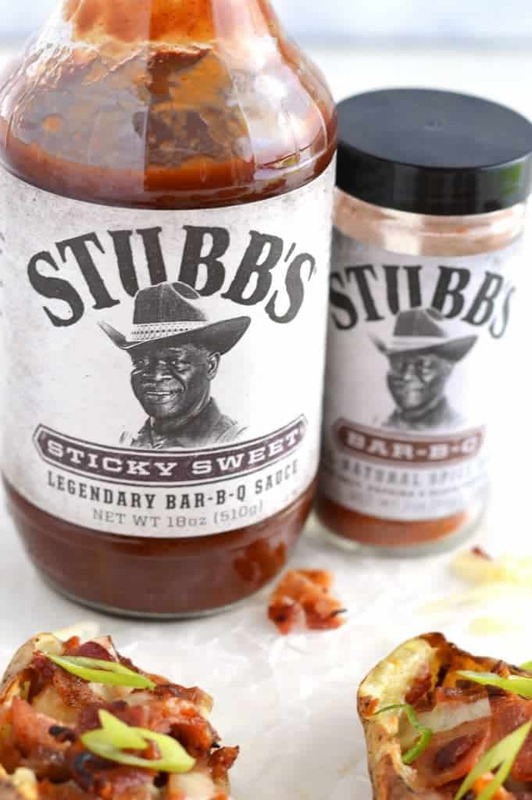 As a Stubb’s brand ambassador, I receive free products to help bring you awesome-sauce recipes. 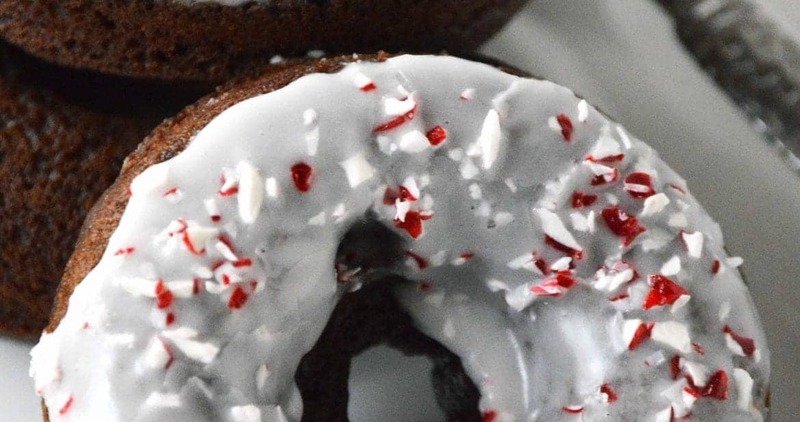 Sharon, these look so DELISH! It’s all BBQ everything for us too, and I’m absolutely loving it. With you on the sour cream thing too — I’ll pass every time in favor of MORE BBQ!!! We actually have shredded bbq chicken in our fridge right now! I’m one step closer to these potato skins! Boy these look amazing Sharon. I am hungry just looking at them. We like to use Stubb’s bbq sauce also. Can’t wait to try these out. 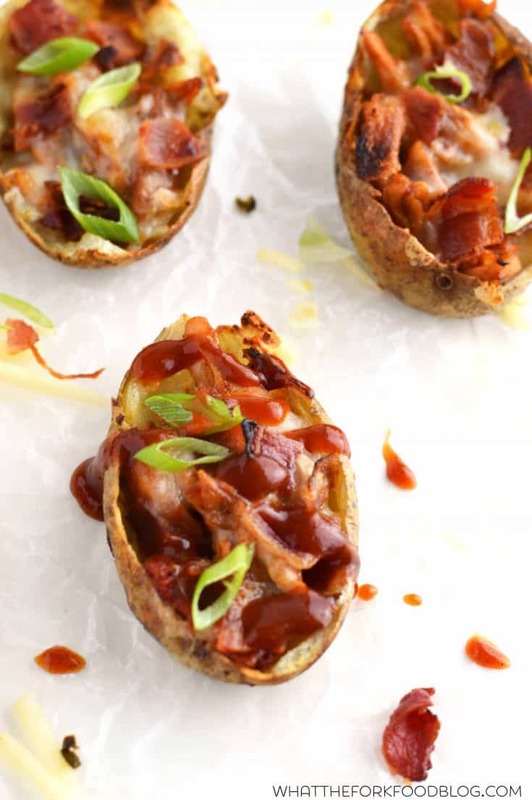 Oh man, we LOVE potato skins in our family – these look awesome! The potato skins are nothing short of a torture given how tempting they look haha. 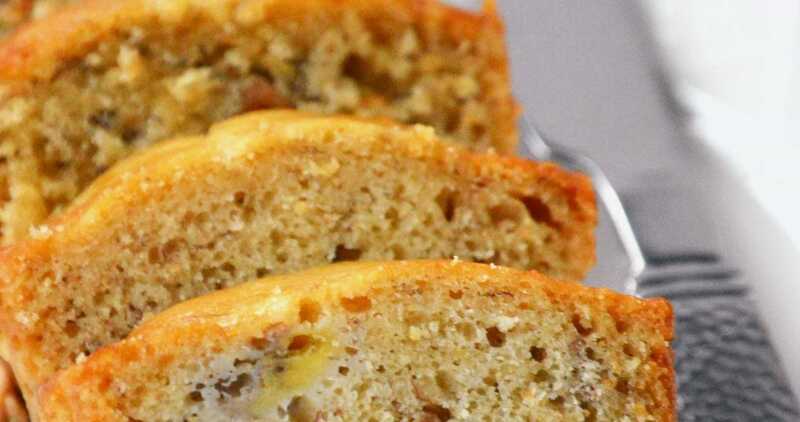 Great for use as an appetizer during a party.